The following terms of business apply to all engagements accepted by Third Sector Accountancy Limited. All work is carried out under these terms except where changes are expressly agreed in writing. 1.1. Our engagement letter, the schedules of services and our standard terms and conditions of business are governed by, and should be construed in accordance with English law. Each party agrees that the courts of England will have exclusive jurisdiction in relation to any claim, dispute or difference concerning this engagement letter and any matter arising from it on any basis. Each party irrevocably waives any right to object to any action being brought in those courts, to claim that the action has been brought in an inappropriate forum, or to claim that those courts do not have jurisdiction. 3.1. Unless we are authorised by you to disclose information on your behalf, we confirm that if you give us confidential information we will, at all times during and after this engagement, keep it confidential, except as required by law or as provided for in regulatory, ethical or other professional pronouncements applicable to us or our engagement. 3.2. You agree that, if we act for other clients who are or who become your competitors, to comply with our duty of confidentiality it will be sufficient for us to take such steps as we think appropriate to preserve the confidentiality of information given to us by you, both during and after this engagement. These may include taking the same or similar steps as we take in respect of the confidentiality of our own information. 3.3. In addition, if we act for other clients whose interests are or may be adverse to yours, we will manage the conflict by implementing additional safeguards to preserve confidentiality. Safeguards may include measures such as separate teams, physical separation of teams, and separate arrangements for storage of, and access to, information. 3.4. You agree that the effective implementation of such steps or safeguards as described above will provide adequate measures to avoid any real risk of confidentiality being impaired. 3.5. We may, on occasions, subcontract work on your affairs to other tax or accounting professionals. The subcontractors will be bound by our client confidentiality terms. 3.6. When we use external or cloud based systems, we will ensure confidentiality of your information is maintained. 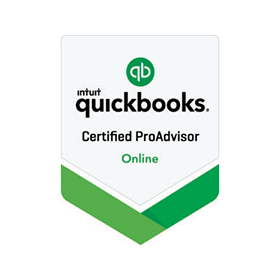 This includes using cloud based accounting software and a cloud based server. These servers are located in the United States of America. 3.7. We reserve the right, for the purpose of promotional activity, training or for other business purposes, to mention that you are a client. As stated above, we will not disclose any confidential information. 4.1. We will inform you if we become aware of any conflict of interest in our relationship with you or in our relationship with you and another client, unless we are unable to do so because of our confidentiality obligations. We have safeguards that can be implemented to protect the interests of different clients if a conflict arises. If conflicts are identified which cannot be managed in a way that protects your interests, we regret that we will be unable to provide further services. 4.2. If there is a conflict of interest that is capable of being addressed successfully by the adoption of suitable safeguards to protect your interests, we will adopt those safeguards. In resolving the conflict, we would be guided by ICAEW’s Code of Ethics, which can be viewed at ​icaew.com/en/membership/regulations-standards-and-guidance/ethics​. During and after our engagement, you agree that we reserve the right to act for other clients whose interests are or may compete with or be adverse to yours, subject, of course, to our obligations of confidentiality and the safeguards set out in the paragraph on confidentiality above. 5.2. We shall each be considered an independent data controller in relation to the client personal data. Each of us will comply with all requirements and obligations applicable to us under the data protection legislation in respect of the client personal data. 5.4. Should you require any further details regarding our treatment of personal data, please contact our head of privacy. where it is necessary for the purposes of our legitimate interests and those interests are not overridden by the data subjects’ own privacy rights. Our privacy notice https://www.thirdsectoraccountancy.coop/privacy-notice​ contains further details as to how we may process client personal data. 5.6. For the purpose of providing our services to you, pursuant to our engagement letter, we may disclose the client personal data to our regulatory bodies or other third parties (for example, our professional advisors or service providers). 5.7. We shall maintain commercially reasonable and appropriate security measures, including administrative, physical and technical safeguards, to protect against unauthorised or unlawful processing of the client personal data and against accidental loss or destruction of, or damage to, the client personal data. 5.9. Upon the reasonable request of the other, we shall each co-operate with the other and take such reasonable commercial steps or provide such information as is necessary to enable each of us to comply with the data protection legislation in respect of the services provided to you in accordance with our engagement letter with you in relation to those services. 6.1. If we resign or are asked to resign, we will normally issue a disengagement letter to ensure that our respective responsibilities are clear. If we have no contact with you for a period of two years or more, we may issue to your last known address a disengagement letter and thereafter cease to act. 7.1. Unless you instruct us otherwise, we may, if appropriate, communicate with you and with third parties by email or other electronic means. The recipient is responsible for virus checking emails and any attachments. 7.2. With electronic communication, there is a risk of non-receipt, delayed receipt, inadvertent misdirection or interception by third parties. We use virus-scanning software to reduce the risk of viruses and similar damaging items being transmitted in emails or by electronic storage devices. Nevertheless, electronic communication is not totally secure and we cannot be held responsible for damage or loss caused by viruses or for communications which are corrupted or altered after despatch. Nor can we accept any liability for problems or accidental errors relating to this means of communication, especially in relation to commercially sensitive material. These are risks you must bear in return for greater efficiency and lower costs. If you do not wish to accept these risks, please let us know and we will communicate by paper mail, other than when electronic submission is mandatory. 7.3. Any communication by us with you sent through the postal system is deemed to arrive at your postal address two working days after the day the document was sent. 8.1. Our fees may depend, not only upon the time spent on your affairs, but also on the level of skill and responsibility and the importance and value of the advice we provide, as well as the level of risk. 8.3. If requested, we may indicate a fixed fee for the provision of specific services or an indicative range of fees for a particular assignment. It is not our practice to identify fixed fees for more than a year ahead as such fee quotes need to be reviewed in the light of events. If it becomes apparent to us, due to unforeseen circumstances, that a fee quote is inadequate, we reserve the right to notify you of a revised figure or range and to seek your agreement thereto. 8.4. In some cases, you may be entitled to assistance with your professional fees, particularly in relation to any investigation into your tax affairs by HMRC. Assistance may be provided through insurance policies you hold or via membership of a professional or trade body. Other than where such insurance was arranged through us, you will need to advise us of any such insurance cover you have. You will remain liable for our fees regardless of whether all or part are liable to be paid by your insurers. 8.5. Our invoices will be due for payment on receipt. Our fees are exclusive of VAT which will be added where it is chargeable. Any disbursements we incur on your behalf, and expenses incurred in the course of carrying out our work for you, will be added to our invoices where appropriate. 8.6. Unless otherwise agreed to the contrary, our fees do not include the costs of any third party, counsel or other professional fees. If these costs are incurred to fulfil our engagement, such necessary additional charges may be payable by you. 8.7. We reserve the right to charge interest on late paid invoices at the rate of 8% above bank base rates under the Late Payment of Commercial Debts (Interest) Act 1998. We also reserve the right to suspend our services or to cease to act for you, having given written notice, if payment of any fees is unduly delayed. We intend to exercise these rights only if it is fair and reasonable to do so. 8.8. If you do not accept that an invoiced fee is fair and reasonable, you must notify us within 21 days of receipt, failing which, you will be deemed to have accepted that payment is due. 8.10. We are committed to providing you with a high quality service that is both efficient and effective. If, at any point you would like to discuss with us how our service to you could be improved, or if you are dissatisfied with the service you are receiving, please let us know..
8.11. We undertake to look into any complaint carefully and promptly and to do all we can to explain the position to you. 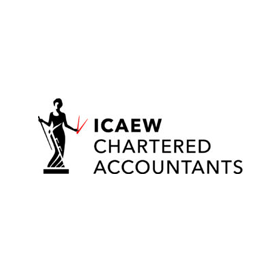 If we do not answer your complaint to your satisfaction, you may, of course, take up the matter with our professional body, ICAEW. 9.1. We will retain all intellectual property rights in any document prepared by us during the course of carrying out the engagement except where the law specifically states otherwise. 9.2. You are not permitted to use our name in any statement or document you may issue unless our prior written consent has been obtained. The only exception to this restriction would be statements or documents that, in accordance with applicable law, are to be made public. 10.1. If any provision of our engagement letter or terms of business is held to be void, that provision will be deemed not to form part of this contract. In the event of any conflict between these terms of business and the engagement letter or appendices, the relevant provision in the engagement letter or schedules will take precedence. 11.1. If we become aware of a dispute between the parties who own the client entity. or who are in some way involved in its direction and management, it should be noted that our client is the entity (charity, society or company) and we would not provide information or services to one party without the express knowledge and permission of all parties. Unless otherwise agreed by all parties, we will continue to supply information to the agreed communication address for the attention of the directors/trustees/management committee. 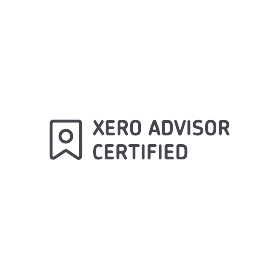 If conflicting advice, information or instructions are received from different directors/trustees in the client entity, we will refer the matter back to the directors/trustees/management committee and take no further action until the directors/trustees/management committee have agreed the action to be taken. 12.1. Insofar as we are permitted to so by law or by professional guidelines, we reserve the right to exercise a lien over all documents and records in our possession relating to all engagements for you until all outstanding fees and disbursements are paid in full. 13.1. The advice and information we provide to you as part of our service is for your sole use, and not for any third party to whom you may communicate it, unless we have expressly agreed in the engagement letter that a specified third party may rely on our work. We accept no responsibility to third parties, including any group company to whom the engagement letter is not addressed, for any advice, information or material produced as part of our work for you which you make available to them. A party to this agreement is the only person who has the right to enforce any of its terms, and no rights or benefits are conferred on any third party under the Contracts (Rights of Third Parties) Act 1999. 14.1. Unless otherwise agreed in our engagement letter, our work will begin when we receive implicit or explicit acceptance of that letter. Except as stated in that letter, we will not be responsible for periods before that date. 14.2. Each of us may terminate our agreement by giving not less than 21 days’ notice in writing to the other party except if you fail to cooperate with us or we have reason to believe that you have provided us or HMRC with misleading information, in which case we may terminate this agreement immediately. Termination will be without prejudice to any rights that may have accrued to either of us before termination. 14.3. We reserve the right to terminate the engagement between us with immediate effect in the event of: your insolvency, bankruptcy or other arrangement being reached with creditors; an independence issue or change in the law which means we can no longer act; failure to pay our fees by the due dates; or either party being in breach of their obligations if this is not corrected within 30 days of being asked to do so. 14.4. In the event of termination of our contract, we will endeavour to agree with you the arrangements for the completion of work in progress at that time, unless we are required for legal or regulatory reasons to cease work immediately. In that event, we will not be required to carry out further work and shall not be responsible or liable for any consequences arising from termination. 16.1. As part of our ongoing commitment to provide a quality service, our files are periodically reviewed by an independent regulatory or quality control body. These reviewers are highly experienced professionals and are bound by the same rules of confidentiality as our principal and staff. 16.2. When dealing with HMRC on your behalf we are required to be honest and to take reasonable care to ensure that your returns are correct. To enable us to do this, you are required to be honest with us and to provide us with all necessary information in a timely manner. For more information about ‘Your Charter’ for your dealings with HMRC, visit www.gov.uk/government/publications/your-charter​. To the best of our abilities, we will ensure that HMRC meet their side of the Charter in their dealings with you. 17.1. We will endeavour to record all advice on important matters in writing. Advice given orally is not intended to be relied upon unless confirmed in writing. Therefore, if we provide oral advice (for example, during the course of a meeting or a telephone conversation) and you wish to be able to rely on that advice, you must ask for the advice to be confirmed by us in writing. 18.2. Although certain documents may legally belong to you, we may destroy correspondence and other papers that we store electronically or otherwise that are more than seven years old, except documents we think may be of continuing significance. You must tell us if you wish us to keep any document for any longer period. 19.1. Our professional indemnity insurer is Hiscox Ltd, Hiscox House, Sheepen Place, Colchester, CO3 3XL. The territorial coverage is worldwide, excluding professional business carried out from an office in the United States of America or Canada, and excludes any action for a claim brought in any court in the United States or Canada. 20.1. If you provide us with all information and explanations on a timely basis in accordance with our requirements, we will plan to undertake the work within a reasonable period of time to meet any regulatory deadlines. However, failure to complete our services before any such regulatory deadline would not, of itself, mean that we are liable for any penalty or additional costs arising.